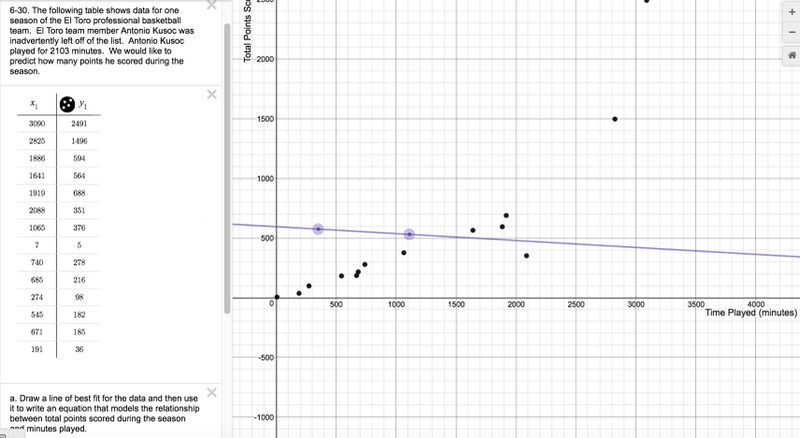 Click on the link below for the “6-30 Student eTool (Desmos)." 2. 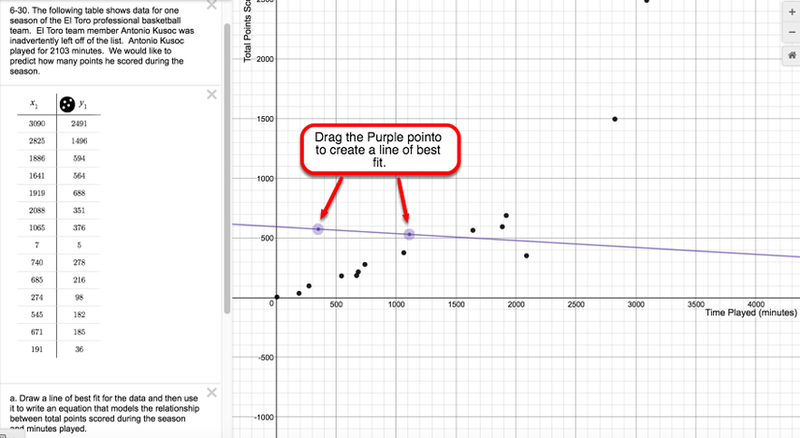 Drag the purple line to create a line of best fit.